Of all the characters in a story, there is one whose importance is such they demand our immediate and sustained attention. That character is the Protagonist. As your story’s central character, the Protagonist informs every aspect of the story-crafting process. Conventional wisdom suggests writers should strive to create a sympathetic Protagonist by finding their wound or their flaw, but that just scratches the surface of what we need to do to discover a truly Compelling Protagonist. In this presentation, Scott Myers will do an in-depth analysis of the Protagonists in three movies – The Social Network, Bridesmaids, and Up – to demonstrate a comprehensive Inside Out approach to character development which you can use to craft your own Protagonist who compels a script reader’s attention. Expect light bulb moments followed by truth bombs. 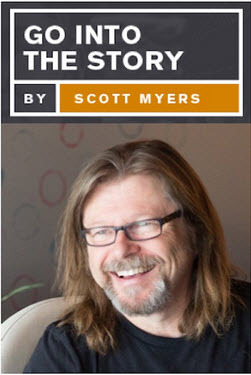 In this presentation with Scott Myers, you will learn key principles to help you craft a Nemesis who goes beyond the stereotypical Bad Guy to a living, breathing, and powerful antagonist figure. 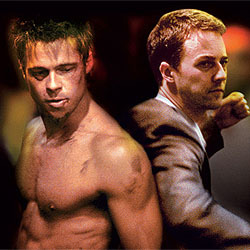 Learn how to think of the Nemesis as a projection of your Protagonist’s shadow enabling you to create a psychological connection between these two pivotal characters. Screenwriter of 'K-9' with Jim Belushi and 'Trojan War' with Jennifer Love Hewitt. Screenwriter and producer, head honcho at 'Go Into The Story' and Black List offical blog scribe. Paying for the London Screenwriters’ festival has been worth every penny already. The videos from previous years are superb. Love it.